Product prices and availability are accurate as of 2019-04-22 20:13:32 UTC and are subject to change. Any price and availability information displayed on http://www.amazon.com/ at the time of purchase will apply to the purchase of this product. 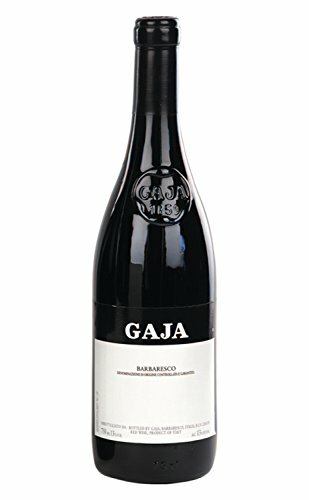 The flagship of the Gaja family, this wine is produced from Nebbiolo grapes and named for its village of origin. 2014 - 98 POINTS Wine Enthusiast, Cellar Selection "This isn't just a great wine for what was a notoriously cool, wet vintage, it's quite simply a magnificent wine. " ~ Wine Enthusiast The grapes from each lot are fermented separately in stainless-steel vats for approximately 20 days; Upon completion of fermentation, the wine is racked to barriques, where malolactic fermentation takes place. Deep garnet in color, the aroma is complex and sensual with notes of forest fruit, plum, licorice, mineral and coffee The texture is supple with fine, silky tannins and bright acidity leading to a long finish.